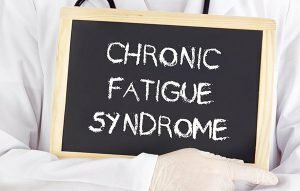 Chronic Fatigue Syndrome (CFS) also known as Myalgic Encephalomyelitis (ME), is a medical condition characterised by long-term fatigue and other symptoms that limit a person’s ability to carry out ordinary daily activities. Increased absence from work or school. Doctors do not yet fully understand the cause or causes of CFS. Medically, the diagnosis often involves several tests to rule out other similar disorders and is usually only diagnosed by the absence of these other disorders. As this is usually not a quick process the patient may be left with troubling and often debilitating symptoms and no real answers – sometimes for months or even years. By the time a patient receives a diagnosis of CFS they are usually exhausted both physically and emotionally. People who receive an early diagnosis and early treatment tend to do better. Having a supportive community and health therapists, who understand the potential seriousness of CFS, can improve recovery for people with the condition. It is important to find a doctor who is sympathetic to CFS, has a good knowledge of the syndrome and can suggest ways to manage the condition. Treatment choices will vary for each person with this condition, as the severity affects people differently. CFS patients often consult the Chiropractor for relief of the musculoskeletal and neurological complaints. Many of these patients have found that chiropractic treatment helps reduce the pain as well as results in greater flexibility, increased mobility and reduced inflammation of joints. The patients generally require a course of treatments consisting of spinal adjustments, soft tissue therapy, exercise and nutritional advice. As there is no simple cure for this syndrome the Chiropractor may also recommend other forms of therapy to compliment the treatment. The goal is to relieve the symptoms, strengthen the immune system and enable the patient to feel more in control of their body and their condition. On good days do not try to “catch-up” or overdo things as it may result in more days when you are exhausted. Call us at (02) 6257 9400 or request an appointment online today!